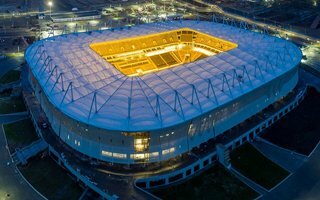 With delivery date set for late December, the new Rostov-on-Don stadium will not be ready in time. In fact, the first game was initially ordered by governor Vasily Golubev to be played in November. As we're in December, that date is the past of course but one might still be surprised how late the first game will actually take place. It's now confirmed that the first match will take place on April 15, 2018 with local FK Rostov taking on SKA Khabarovsk. That's just 2 months before the first World Cup game planned in Rostov, the Group E Brazil-Switzerland clash. Still, the stadium should be launched into operation in time. FIFA demands three test-events and the two remaining ones are scheduled for April 29 and May 13. 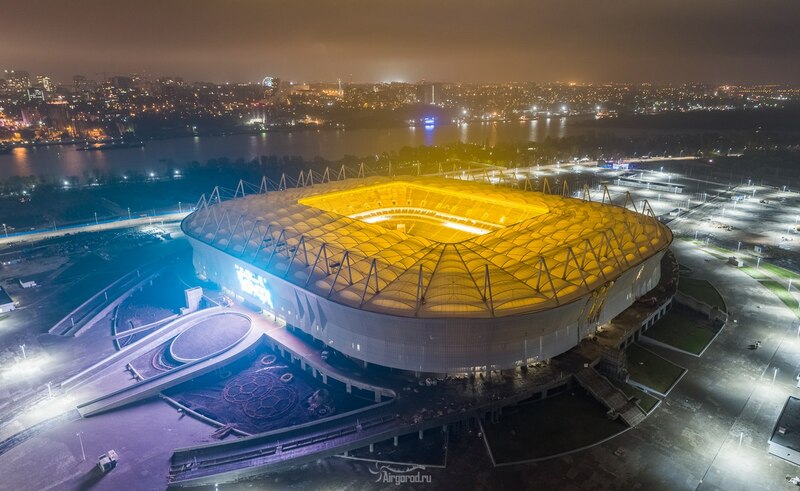 The new Rostov stadium was one of the last to break ground. Though enabling works were launched back in 2012, actual construction has been ongoing since 2014. The stadium also went through complete redesign in order to cut budget and facilitate construction. While visual outcome is hardly impressive, the stadium still didn't see cost go down significantly. It should end at around RUB 20 billion (€286m) spent, almost the same amount as predicted before redesign.